We usually hear of scams early on because owners call us to ask, "Can this be true?" Recently we've become aware of a new one we wanted to warn you about. It goes like this: Someone calls you to let you know of some bad news, it seems your timeshare resort is behind in your property taxes but if you will be so kind as to give the caller your social security number, he'll help you out. Somehow. 2) NEVER GIVE YOUR SOCIAL SECURITY NUMBER OVER THE PHONE. If you want proof, here's how to get it. Go to the assessor's website below and get the schedule number of your unit. Next call the Grand County Courthouse @ 970.725.3347 and ask for the Treasurer's Office. Ask them there if the schedule is current on property taxes. 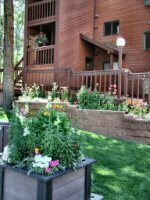 At least 20 Indian Peaks’ owners have fallen victim to scam artists who promise to “end your timeshare dues forever”. The scams take a few different forms, either you get ‘points’ at another resort, or a club membership in an expensive vacation plan, or some other scheme to help you pay even more money to be “rid of your ownership”. They will take your check or credit card in exchange for some so-called benefit that has a wildly inflated value. But what happens to your deed? Here’s what they stay quiet about: you’ve signed paperwork along the way that gives them authority to transfer your property. They use a shell 2nd party like Vacation Transfers LLC, or something similar, to transfer the deed to a shell 3rd party like Francis Trips LLC, or Taylor Tours LLC, two actual corporations that took title that way and combined owe more than $5,900 in back dues. And they are only two of 20. Your association is determined that it will not accept transfers that they suspect of being fraudulent. The new Transfer Rule, adopted by the Indian Peaks’ board of directors is being recorded at the county and will be posted when that is complete and linked here. Stated simply the rule states that the association will not recognize transfers to corporations or individuals suspected of being fraudulent by nature of their similar past default on obligations. Copyright © 2005 Indian Peaks Interval Owners Association, All rights reserved.